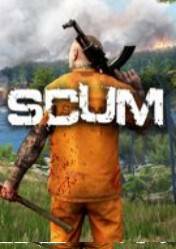 SCUM is a multiplayer survival game, in the style of Conan Exiles or any other current survival game, which comes with the main objective of making a qualitative and evolutionary leap into the genre of survival in the open world. Among the new features of SCUM, we have unprecedented levels of character customization, control and progression, where knowledge and skills are the ultimate weapons for long-term survival. By combining methodical planning and survival management with the different'network events' available, together with a strong PVP side, SCUM achieves a unique balance between simulation, survival and intense action. We are in a society in which television sensation is a life-and-death survival game, a TEC1 contest that was born with the idea of quenching the spectators' thirst for blood. A merciless war of survival as they fight for the support of corporate viewers, producers and sponsors, in the purest Hunger Games style. I really do enjoy the game when people are playing it, but the player base is quickly going away. YES, it is EA and I have been one of the people reminding everyone of that and to be patient. However, untill there is some actual new content for us to test out and find bugs in, I am walking away. I will gladly change my review to recommend once there is a reason to. Right now I would suggest staying away for at least a few months and maybe just keep track of progress until then. If you have a very good pc (i have a 1070 and i7 8700k) and run it at 1080p, this game will run really smooth for you. However, if your PC isn't on the high end I would wait if I was you because the devs update the game on a weekly and they say optimisation is a priority for them so I'd give it a few months. Would not recommend the game at this stage. Early stage of development, has potential. Currently: To many issues: Memory leak, Cheaters (anti cheat is off currently according to Reddit), Desync problems, No server search box (u can connect through ip if ur mates have it). Development team are great tho, have not seen one like that in while. Definitely trying their best and sort problems as fast as possible.